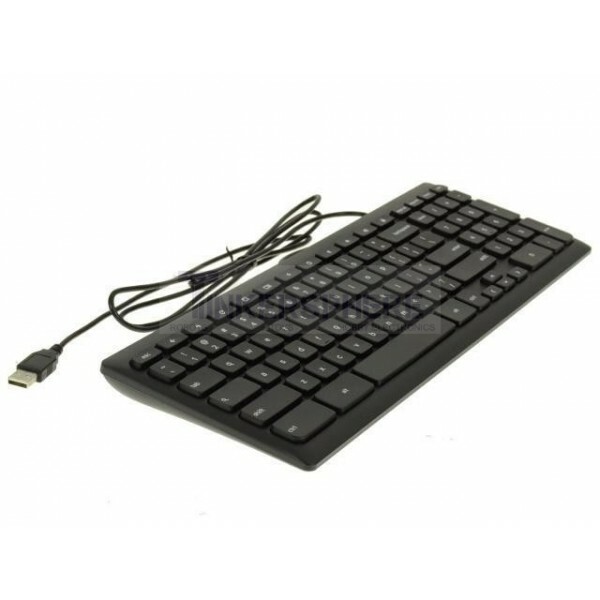 Full Size wired USB Keyboard with number pad. 15" wide x 5" deep, and about 3/4" thick. With the legs propped up, it's higher, of course, but lying flat, about 3/4"